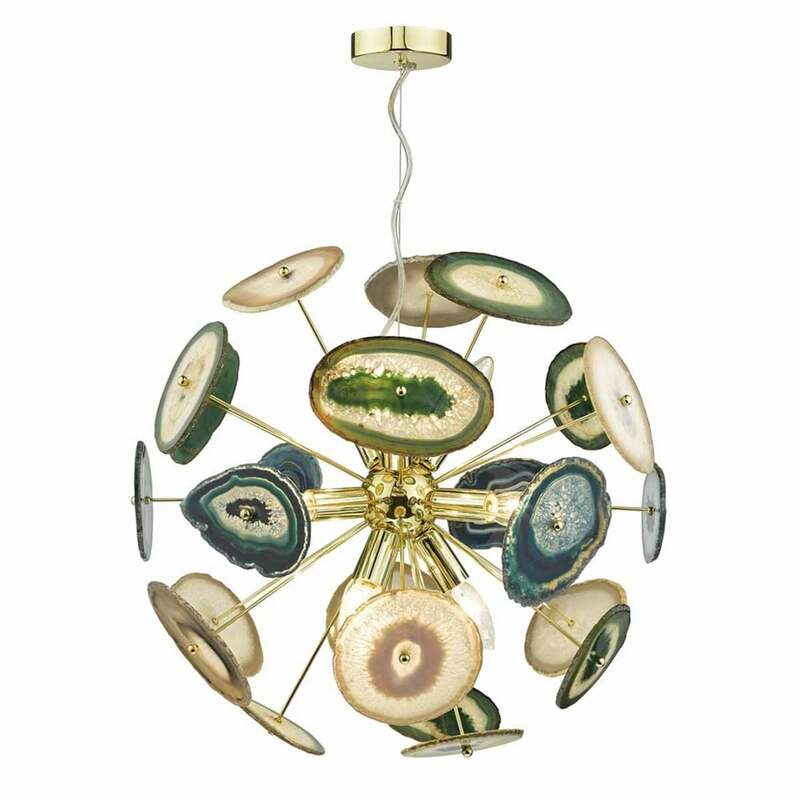 The Achates from Dar Lighting is a spectacular showpiece fitting featuring unique pieces of agate which have been polished to a high shine. Each piece is unique and the blues and greens of the agate look beautiful against the warm gold metalwork. Absolutely spectacular.